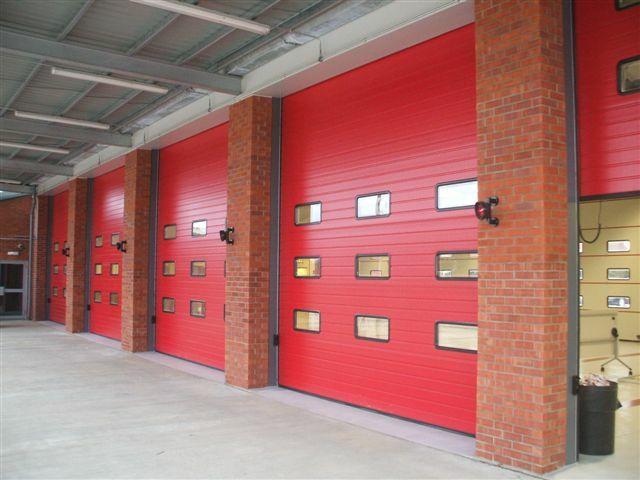 From factories to warehouses, farms, car showrooms, fire stations, all commercial business premises have a requirement for Industrial Doors. Adalons have access to an extensive range of Industrial Doors, and with sister company Cooks, are in partnership with Hormann Doors, one of Europes largest manufacturers and suppliers of industrial doors and logistic systems, where quality and safety come as standard. Quality brochures available for all the Hormann product ranges. Roller Shutters are the workhorse of the industrial door market, heavy duty construction and built to last, but periodic maintenance will ensure a long life and trouble free operation. Interlocking galvanised steel lath as standard, in a gauge to suit the application, options include perforated lath, powder coating to any standard RAL colour and Plastisol colour coated. Operation by Manual Hand Chain and Gear, or Electric operation with 3 phase, 1 phase or single phase tubular motors. Optional extras include, Hoods and Facias, Weather Seals and Wicket Doors. The Decotherm insulated rolling shutter door from Hormann, has many unique features, including the ZAK gap closing system and certificated safety, electrically operated only via 3 phase motor. Available in 7 (prefered) RAL colours, or custom paint finished in any standard RAL colour. Window sections and ventilation grilles optional,. Sealed, wind and acoustic rated. Control options include, radar, remote control, induction loops, push buttons, pull switches and traffic lights. 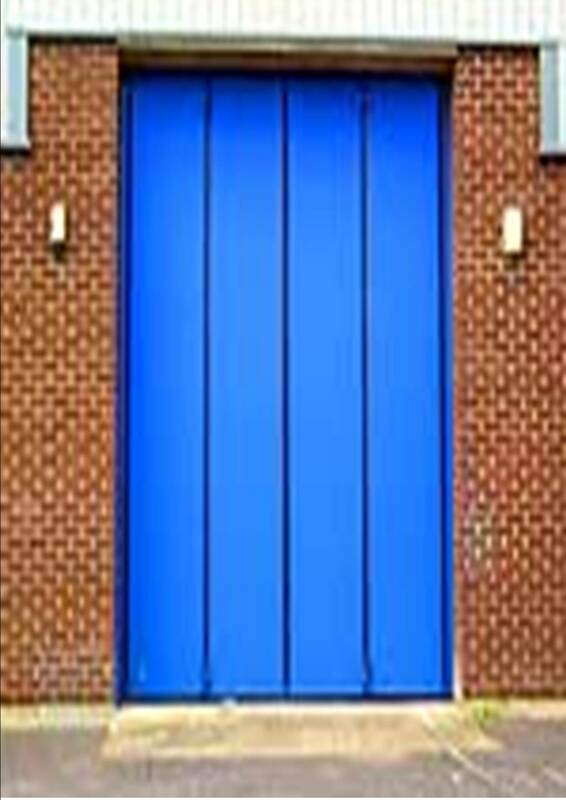 Probably the most specified and versatile of all industrial doors on the market today. 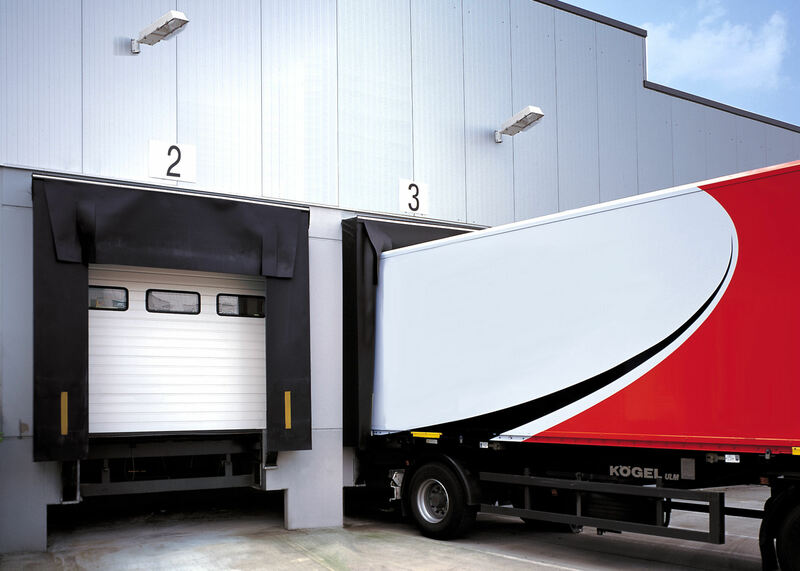 Hormann Sectional Overhead Doors are available in 7 different types, each together with Glazing options, 12 track arrangements, motors and accessories. 14 prefered standard RAL colours, or custom paint finished to any standard RAL colour. Wicket doors with trip free thresholds. Sizes up to 8m wide x 7m high, safety equipment comes as standard. 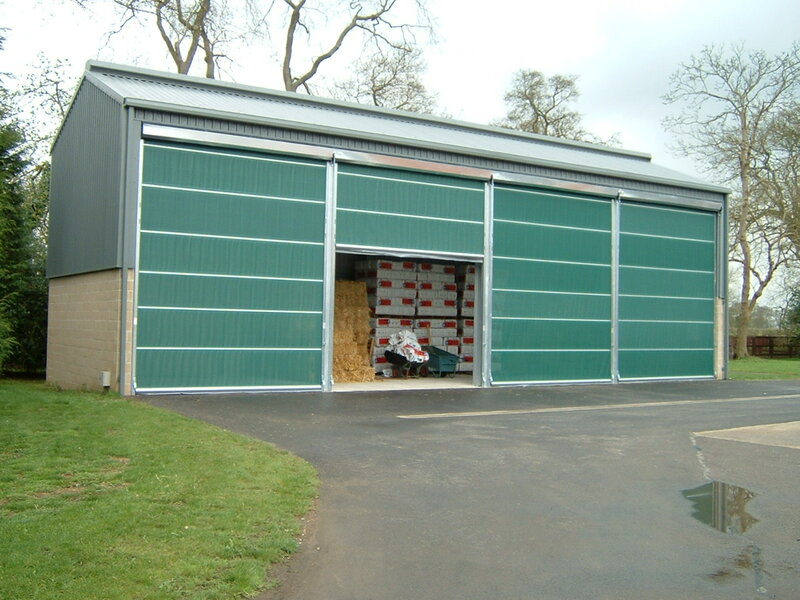 Folding shutter doors are available in insulated or non insulated versions, in aluminium and steel. Glazing options including full or part glazed. Colour finishes to any standard RAL colour. Doors up to 14m wide x 5m high. 90 or 180 degrees of opening. Safety features, including finger trap protection. 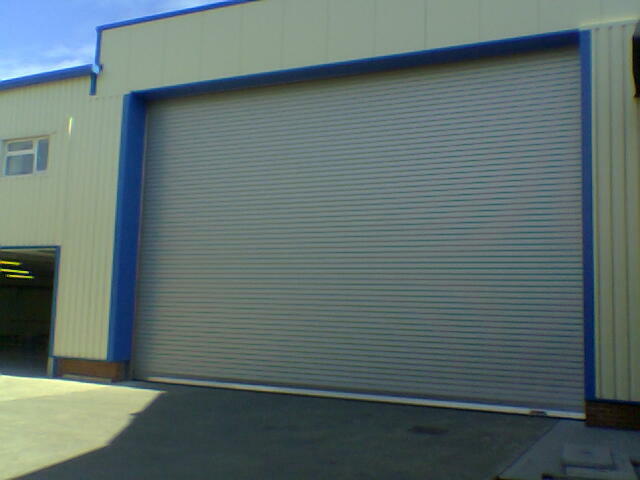 A heavy duty, industrial fire shutter, in galvanised 75mm steel curly lath as standard. Modes of activation include, manual solenoid or auto solenoid release, and fusable link. Operation 3 phase or 1 phase geared electric motor, with integral-controlled descent mechanism. Closing speed approx 100mm per second, complete with emergency hand chain and push button starter box. Powder coat paint finish to any standard BS or RAL colour. Battery back up unit, FDI audio visual warning panel. A Commercial Fire Shutter, for applications, like receptions areas and serveries, with either 50mm flat or 75mm steel curved lath, galvansed finish as standard. Operation by single phase electric tubular motor, with solenoid release linked into the fire alarm system, with a controlled descent. (Note, a volt free signal is required from the fire alarm). Electrically operated Rolling Curtains for both smoke and fire applications. 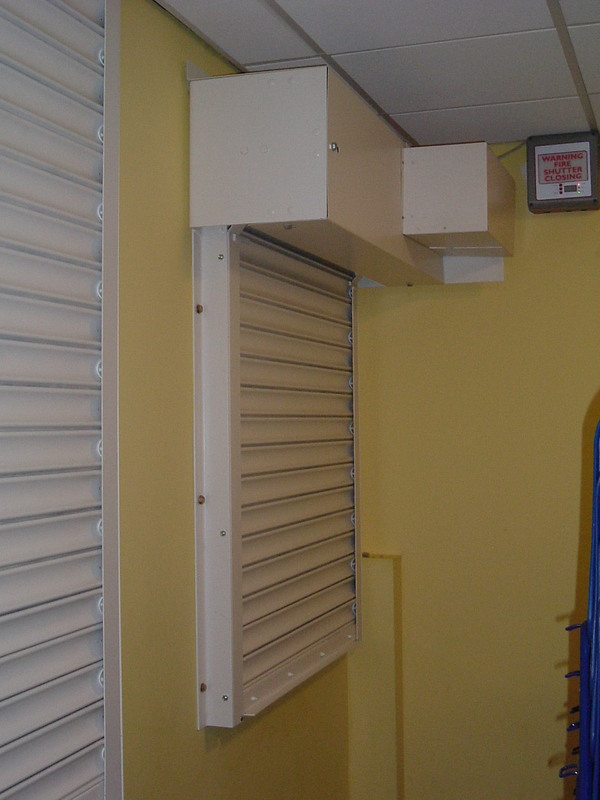 Rolling Fire Curtains, in (1HR, 2 HR) rating, unobtrusive yet with a performance equivalent to fire shutters. Single phase tubular motors, activation linked into fire alarms. (Note, a volt free signal is required from the fire alarm). Fabric colour in grey only as standard, box and guide colour RAL 9010 white as standard, with other RAL colours available (optional). 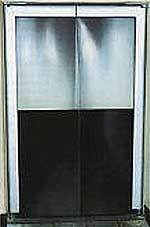 The full Hormann and Omega steel door set range, for both internal and external applications. Door sets in double or single format. 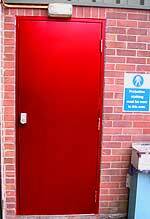 Fire rated doors and fire exit doors. Primer or fully paint finished options. 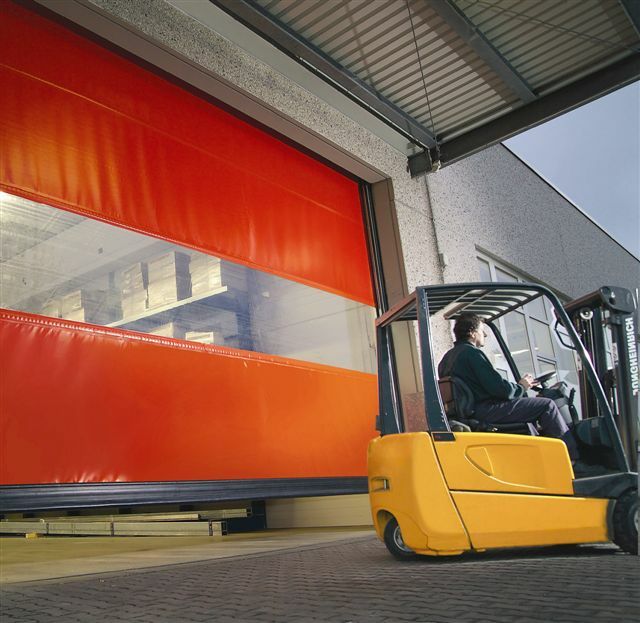 The Hormann Fast Action Door range, available in both vertical rolling and side folding (horizontal) format. For external and internal openings, including food production, and clean rooms etc. From fully transparent, to a choice of 5 standard curtain colours, in solid colour or with vision panels. Operating options, include remote control, induction loops, push buttons, pull switches, radar, and traffic lights. Flexible doors with the soft edge option. Crash doors are one of the most economical and practical solutions to preventing heat loss, pollution and noise in the workplace. Double or Single leaf door sets. Black rubber 8mm, 10mm and 12mm. Combinations of black rubber and clear pvc panels, or coloured panels and clear pvc. Electric operation, with pull switches, push buttons, radar, photo cells, and induction loops. Hormann logistic systems from a single source. Dock Seals and Dock Shelters, protect goods and people against the elements and help save on energy costs. Available in 4 standard colours, Black, Grey RAL 7012, Blue RAL 5010, and Green RAL 6005, with options of white, yellow, orange and red marker stripes. Systems available include, Link Arm, Scissor Arm, Inflatable and Fixed Loading Houses. Full Dock Height and Roadway Models. Quality brochures available on request. 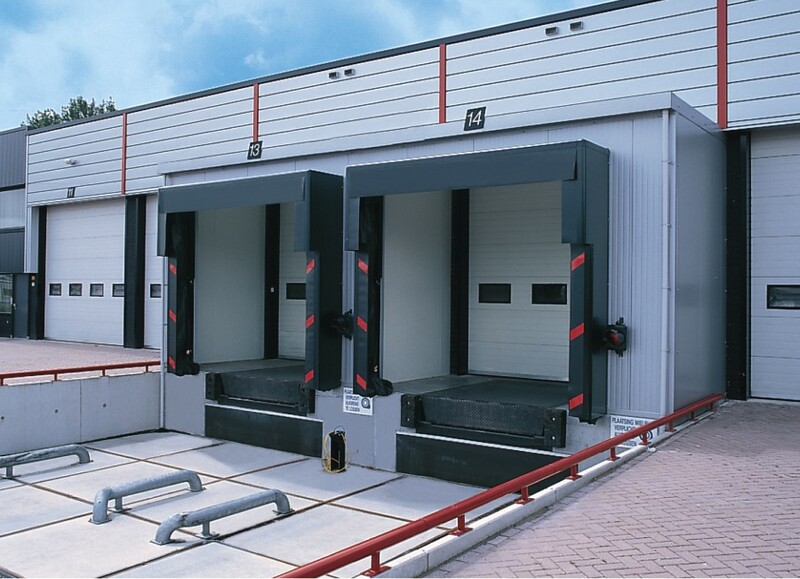 The Hormann range of Dock Levellers, offer a safe, fast and efficient way of loading and unloading vehicles. Hormann Dock Levellers come in Blue RAL 5002, Black or Galvanised stseel finish as standard, or can be custom paint finished to any standard RAL colour. Three framed models available, with each offering 3 types of hinged lip, catering for different lorry widths, telescopic lip, straight, angled or seperate lip segments. 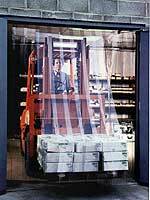 The most simplistic and economical solution to heat loss, from opening loading bay doors etc. Also helps to prevent ingress of dust and fumes, birds, vermin and noise levels. For both internal and external applications, with sliding tracked systems available. Strips in welding grade and polar grade versions, for cold rooms and cold stores, including ribbed strips for very heavy traffic areas. 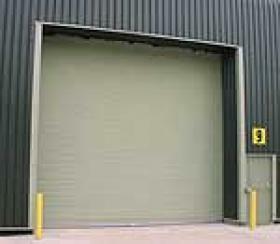 Roller door and screen systems providing weather protection mainly for agricultural use. Choice of 8 standard mesh and solid PVC colours. Standard mesh and solid PVC coated polyester. 3.3 tonnes tensile strength, 25% permeable. High performance mesh 5.4 tonnes tensile strength, 10% permeable in Green only. 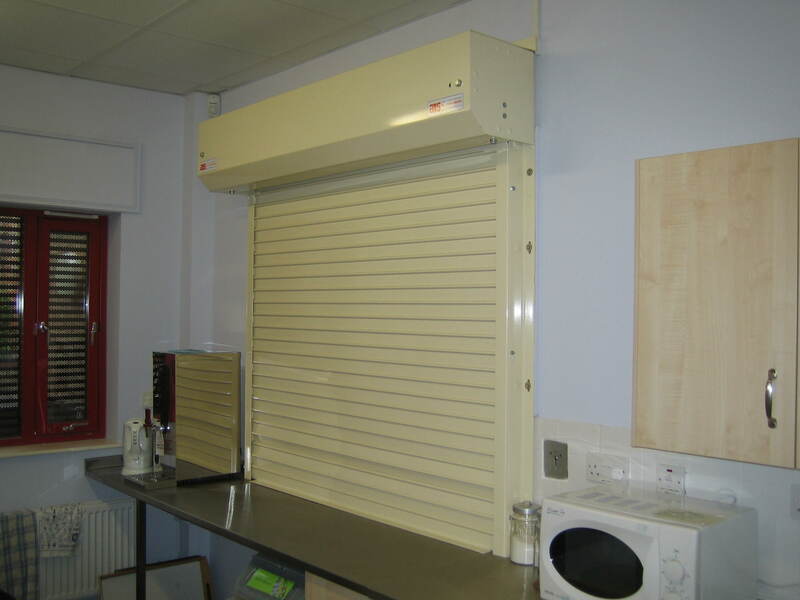 Hand chain and electrically operated doors to suit openings up to 6.0m wide x 6.0m high. Spring roller systems to suit openings up to 6.0m wide x 4.1m high. Clip on systems to suit openings up to 20.0m wide x 3.0m high.